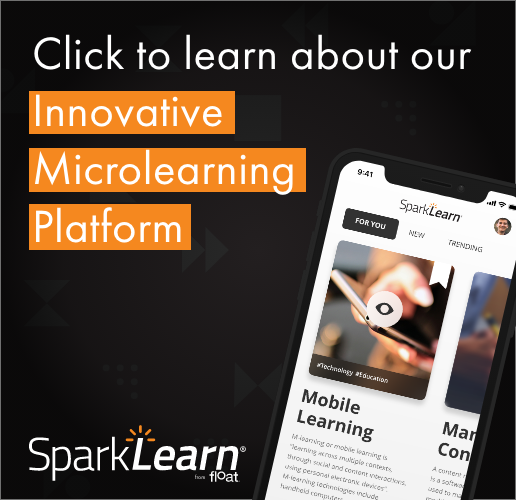 Join Float team members for the second session in the Mobile Learning Conversations webinar series! According to the American Society of Training and Development’s (ASTD) 2010 State of the Industry Report, U.S. organizations spent more than $125 billion on employee training and development in 2009. This number jumped 36 percent to $171.5 billion in 2010, according to the 2011 report. Because of this, Woodill said, “executives frequently need to calculate their costs, benefits, and likely return on purchasing new learning technologies before they can make their buying decision.” He said this applies to all technologies, not just mobile. “Companies are being asked to spend money on smartphones, tablet computers, and apps simply because it is the latest wave of learning technologies,” Woodill said. The i5 Research CEO said that any company where a large number of employees are already mobile can benefit from the implementation of mobile learning. “For example,” he said, “hospital staff move from patient to patient, and therefore can use information immediately available on a mobile device for treatment or to share with their patients.” Other companies that could benefit from mobile learning include those who provide transportation of people or goods, such as airlines or shipping companies. In September, we called out several of these fields in Mobile Learning = Green Learning. Woodill said there is no global answer to what ROI for mobile learning costs because each case is unique. Even in individual cases, “answers can only be approximations, because there are so many factors that are not measurable, but are important to consider,” he said. 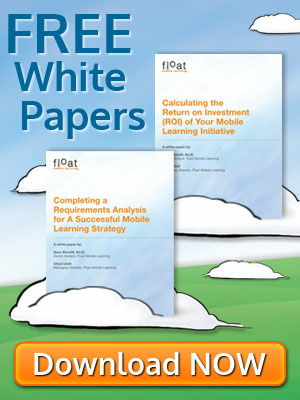 Just announced: Registered participants will receive access to a white paper authored by Gary Woodill and Chad Udell on ROI in mLearning. Dr. Gary Woodill, Ed.D. is a senior analyst for Float and is located near Toronto, Canada. Woodill is also the CEO and senior analyst at i5 Research, as well as the author of The Mobile Learning Edge. Woodill spent 20 years in academia before heading into the corporate world, where he developed and researched eLearning technology for a number of companies.